A real ‘peach’ of a show comes to Chelmsford Civic Theatre this February! 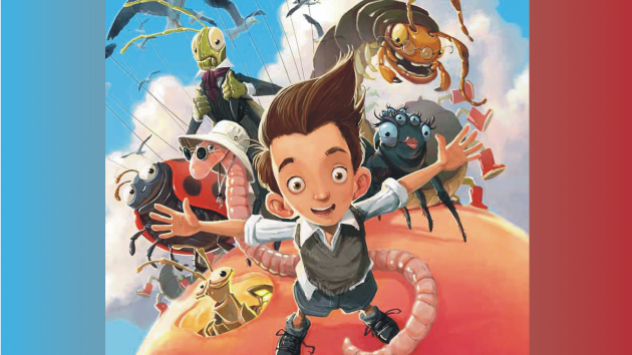 Roald Dahl’s very first children’s book and one of his most popular stories, James and the Giant Peach, comes to Chelmsford Civic Theatre from Tuesday 19 to Saturday 23 February during the half term holidays. This classic book tells the story of James, a lonely young boy who lives with Aunt Sponge and Aunt Spiker, the most revolting Aunts in England. They make him work and slave and never let him play with other children. Then one day he meets a mystical old man who gives him a bag that contains the strongest magic the world has ever known. When James spills the bag near an old peach tree, the most incredible things start to happen and James embarks on the adventure of a lifetime with the most amazing group of characters you could ever meet! The Birmingham Stage Company are famous for their acclaimed productions of Roald Dahl stories. In their twenty year history they have staged six Roald Dahl books and many other children’s stories including the fantastically popular Horrible Histories. All have been loved and praised by audiences and critics alike. The classic tale of James and the Giant Peach will entertain and thrill children and adults alike in this entertaining and lively show making it an ideal venture for this upcoming February half term holiday. With fruitfilled fun and wizzpopping wonder, the Birmingham Stage Company make this larger then life stage production a great introduction to theatre for children aged 4 years and older. Tickets are £15.00, concession £11.00 and family tickets £47.00 (not available on Friday and Saturday performances) and can be booked online at www.chelmsford.gov.uk/theatres or by calling the Box Office on 01245 606505. 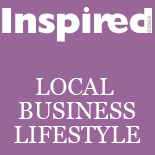 This entry was posted on February 18, 2013 by inspiredessex in Chatty, Essex Events and tagged Chelmsford, Chelmsford Magazine, Civic Theatre & Cramphorn Theatre, civic theatre chelmsford, Essex, essex events.